Dell’s 13th Generation PowerEdge R630 rackmount server packs 2U performance into a 1U chassis for uncompromising density and productivity. The R630 is perfect for virtualization, transactional databases, and running large business applications, especially in data center environments where rackspace is limited. Powered by dual Intel Xeon E5 2600 v3 product family processors for up to eighteen cores and 45MB cache per cpu, the R630 can tackle your most compute-intensive applications. The R630 is perfect for your growing virtual server infrastructure with a total of 24 memory module sockets. The R630 scales up to 768GB total DDR4 RAM running at a maximum of 2133MT/s. Aventis Systems offers the R630 in two different chassis options: the 8-bay 2.5” hard drive models below, as well as the 10-bay 2.5” model. We offer these systems with SAS or SATA hard drive options, as well as solid state drives. Our hard drive configurations begin with half of the drive bays populated to allow for future expansion, or you can click through for a custom configuration with a maximum capacity of 16TB internal storage. With 12Gb maximum storage throughput and dense storage options, the R630 is particularly well suited for large-scale transactional and analytical processing solutions. If you’re looking for superior I/O performance, high-density processing and flexible storage capacity, please browse below and customize your R630 today! Aventis Systems carries New Dell PowerEdge R630 servers. All servers from Aventis System include a 3 year Comprehensive Warranty, with eligibility for optional Express warranties and onsite services. 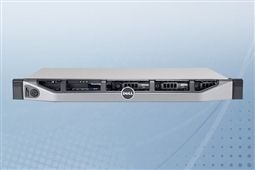 Looking for more ways the Dell PowerEdge R630 can benefit your business? Check out our Product Review: The Dell PowerEdge R630 today! Are you looking for a 13th Generation Dell server with more expansion options and higher scalability? Please browse our R730 2U rackmount servers. Do you have a question or need a custom quote? We’re here to assist you! Please call us at 1.855.AVENTIS (283.6847) or use our Live Chat Live Chat during regular business hours. You can also email us at Sales@AventisSystems.com.